As mentioned in POST #2, MLB maybe isn’t the most established professional league in the UK as of yet, but oddly it’s probably my favourite of the lot. Without feeling the need to explain myself, I’d like to explain why, for me at this moment in time, MLB trumps the rest; I have a natural affiliation with one of the teams – being born in Toronto, there is a (sometimes) competitive team based in the city to follow whilst in the UK. Of course there are the Maple Leafs, Raptors and the Reds (FC – MLS), but the Jays are the only ones to win a Championship in my lifetime (I wasn’t around pre-1967 to catch any of the Stanley Cup wins). Secondly, baseball is kind of similar to cricket (not really but close enough) which is my main sport at home – both all-summer sports (I love that baseball has a game nearly every day to look forward too) and both (to keep it simple) about scoring more runs than the others by hitting the ball further/harder/more than the opposition. Lastly, I fell in love with the atmosphere of the baseball at Rogers Centre – Blue Jays got turned over by the Red Sox but I loved it all anyway – the people milling around all evening, dropping in and out at will, the odd chant and cheer and the overall ‘feel-good factor’ about the place. It’s on the bucket-list to do an all-America trip to take in a game at all 30 MLB stadiums in a season. Anyway, what does a Brit have to comment on regarding the Major Leagues and why now – why the END of the 2017 season?! Number one – we’ve just had possibly one of the greatest World Series 7-Game series ever, only a year after one of the other ‘best ever’ candidates. Number two – for many ball clubs the winter-before shapes the season-coming; GM and Winter Meetings, important trades, drafts, managing of contracts and free agents – many of the big calls get made in the off-season. Number three – Shohei Ohtani. I’ll cover all three reasons in part in this blog. Records fell throughout the 2017 Fall Classic between the Dodgers and Astros which made for entertaining viewing – dinger after dinger to break all sorts of Home Run records; most combined in a World Series (25), most in a World Series game (Game 2 – 8HRs), most by a team combined (Astros – 15) and George Springer tying the WS record for the most individual Longballs (5). All that without even mentioning THAT Game 5 – but that’s been covered enough by everyone else. So what about some trade possibilities and the 2017 free-agent class? 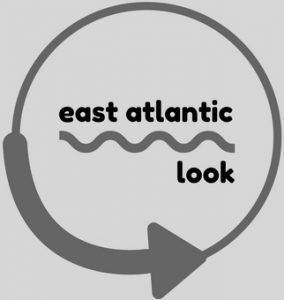 Below are some the EAST ATLANTIC LOOK’s thoughts and predictions on what may happen over the coming months – let me know your thoughts on what’s going to happen. Is our opinion influenced by what we’re exposed to this side of the Ocean? Despite not being a free-agent, most of the early off-season talk about moving players seems to be revolving around where Stanton is going to land. There is no-doubting the newly crowned NL MVP’s power and defensive prowess, and with the new Marlins ownership looking to shed the payroll for 2018, getting rid of Stanton’s mammoth contract seems an obvious way to do so – totalled up his current contract is worth around $295 million through 2027. Who can eat that sort of cash? Who has the players to give Miami in return? The worry for the Marlins is that a lot of teams with financial might and farm system to boot – Phillies are a prime example – may hold off until the 2018 FA class to see who they can acquire on what would almost certainly be a cheaper deal, without giving up prospects. I’m going to say that Stanton will be wearing a San Francisco Giants uniform come Opening Day 2018. After a drab 2017 campaign, the Giants will be looking to bounce back in 2018 (they always do okay in even years) and recruitment, either via trade or from FAs will be a huge part of that. The need to add power having propped up the MLB with a lowly 128 homers in 2017, and if anyone in the game brings power it’s Stanton. Apparently Stanton is keen on a move to the West Coast (rumour has it to the Dodgers but not many pick their own destination) and to a contender so having won 3 World Series in the past decade surely the Giants are a fit, right? Though they’re close to the luxury tax threshold, if the Giants are clever with who they ship out, they have the capital to be able to eat the monster contract Stanton carries as baggage, the Giants are the side that could be willing to ship off their top prospects to land a star and be competitive again. The Deal: Giants acquire Stanton from Marlins for OF Heliot Ramos, OF Gorkys Hernandez, INF Christian Arroyo and RHP Tyler Beede. As a Blue Jays fan this is a story I’ll be following closely through the off season. For anything to happen with The Bringer of Rain, the Jays Front Office need to work out pretty quickly whether they are going to contend in 2018 or not. If yes, and with over 3 million fans flooding through the Rogers Centre doors each season to please, they need to act quick on JD and lock him up to a multi-year deal – one that preferably isn’t as back loaded as that of Russell Martin or Troy Tulowitzki. If no, then JD seems the obvious trade piece to flog and recoup prospects, rather than a solitary draft pick when he walks in Free Agency next year. The Jays farm system isn’t completely bust, nor is it overflowing with talent: some prospects to compliment Rowdy Tellez, Vlad. Guerrero Jr. (3rd baseman who would see more of the big leagues if JD gets traded), Bo Bichette and Anthony Alford wouldn’t be the worst FO plan. The Deal: JD stays in the Six as the Jays roll the dice once more on some talent to try and contend in the American League’s toughest division. He is traded to the Wild Card chasing Cardinals at the trade-deadline for some OF depth and prospects before re-signing in St. Louis on a multi-year, $200million plus deal from Free Agency. The Marlins are slashing the wage-bill, as per Stanton above, and another contract to help get the Miami franchise below their $90 million wage-bill target is to ship Dee Gordon. Though a below-average hitter now, he’s still an effective leadoff man with definite value in his speed and defensive glovework at second. Still the right side of 30, Gordon could be a realistic option for some clubs if the saturated market for second basemen starts asking for too much. Miami may be asked to eat some of the contract, thus now helping them entirely, but there may be a club or two valuing Gordon’s defensive metrics enough to meet the $38 million over the next three years (including a 2021 option buyout). The Deal: The Phillies beat off the Jays and land Gordon as they are willing to eat all of the contract and take the risk. MacPhail looks to win-it-all while other clubs may be stockpiling funds and sends OF Roman Quinn, OF Cornelius Randolph and LHP Ranger Suarez the other way. They nearly shipped him last year, surely they’ll look again to see what they can recoup with a near $15 million club option staring them in the face for 2018. Though maybe not in as strong a position as they were last year to use Cutch as a trading chip, the outfielder will still be in demand and the Pirates could see a big haul come their way prior to Opening Day. Durable as heck, since 2010 he has only played less than 150 games once (2014 – 146 games), Cutch improved his bating stats in 2017 from 2016 so in theory more people should want him – his average improved from .256 to .279, 28 HRs compared to 24 in 2016, 88 RBI and 159 hits compared to 79 and 153 – all in less at bats. The Dodgers were linked in the 2016 off-season, needing a strong hitter of LHP, and having come up agonisingly short of delivering the World Series ring the ball-club so desperately wants, maybe Cutch could be the missing part – though I struggle to see where he fits in now despite having the prospects to move for a ‘win now’ attitude. The Deal: Cutch moves to the Rangers as a corner-fielder (he would probably have the pick of OF positions in Texas but Shin-Soo Choo at RF ranked 152nd of 157 outfielders last season). Texas need to make a move to inspire the crowd having suffered slightly in 2017, and a club that always seems reluctant to rebuild will just keep spending, surely. The Pirates pick-up the Rangers biggest prospects as they risk it all and send C Jose Trevino, RHP Kyle Cody and LHP Joe Palumbo to Pittsburgh. We’ll get onto the big arms of the 2017 FA market shortly, and whilst most of those are set to make lots of money in deals, some current Starting Pitchers still under contract could be better value, despite giving up a couple of prospects – trade-off between a draft pick and prospects, maybe? Though Archer isn’t on a massive contract, the smallest club in the AL East may see sense in dealing their best arm for prospects considering they aren’t going to compete in the division with two clubs at ‘win-now’ and another two still chasing. Owed $13.75 million through 2019, with club options of $9 million and $11 million for 2020 and 2021 respectively, compared to the $150 million plus deals being talked about for other pitchers, Archer would be a relative steal. The Deal: Archer starts 2018 in Tampa as the Franchise face, pitches well and ends up as a SP in the All-Star game. Tampa deal him before the deadline to Yankees who struggle early to fill the void left by not re-signing CC Sabathia. Everyone knows the Pinstripes have a great farm so it’s hard to know who would go the other way – I’m going to go for a mix of arms (1 RHP, 1 LHP and a reliever) that Tampa back themselves to develop. Though not quite the calibre of what the 2018 FA market is forecasting to be, the class of ’17 still hosts some big names who could attract some big money moves. Below I’ve tried to break down some of the most-interesting names available on the market and compared what I think they will earn and where, with the MLBTrade Rumours predictions. Yu Darvish – MLBTR say: Cubs, 6 years, $160MM. I don’t think the two World Series disasters will affect Darvish’s value too much, but I can see it hurting how many years he gets. A lot of clubs need starting pitching so I don’t think the money will be an issue, he’ll go to a high-bidder, but contenders may be wary to give him a long-term deal in case the WS blip was more than just that – I do think that any deal will be front-heavy with some club options at the back-end. EAL says: Yankees, 5 years, $130MM. J.D. Martinez – MLBTR say: Red Sox, 6 years, $150MM. No doubt he’s the big bat on the market, his 2017 was phenomenal with regard to slugging percentage and HR outputs. Lots of teams will be in for him, though with not too many teams after a 1st baseman, it’ll be somewhere that can offer him DH time as well. With the 2018 FA class pressing on all Front Office minds, again J.D. may not get the lengthy contract he wants, but then again he has arguably the best agent in baseball, Scott Boras. I don’t think he’ll get the $30 million per year he’s after, nor do I see him reaching $200 million total, but he won’t be far off. EAL says: Red Sox, 5 years, $135MM. Eric Hosmer – MLBTR say: Royals, 6 years, $132MM. Hosmer could be hurt badly this FA. He has age on his side, but he isn’t the best 1B bat on the market, nor will he be seen as the ‘bargain option’. He’s one the Royals will push hard to keep and I can see them having to stump up big cash to keep him – he could be one of the surprises of the market as they have to beat the qualifying offer and offer time. EAL says: Royals, 6 years, $132MM. Jake Arrieta – MLBTR say: Brewers, 4 years, $100MM. Arrieta will make big money, but not as much as he would have been worth this time last year. The Cubs will need to sort out their own rotation, and if they miss out on some of the other FA arms they may end up having to pay big to keep hold of Arrieta. I don’t see Arrietta being on the market for long though so anyone who wants him will need to act quick – he has big game experience and would be a great-fit for a team looking to get over the line. You get the impression he will be played off against Darvish and his WS slump, but I think years will be more important than dollars for Arrieta. EAL says: Rangers, 5 years, $110MM. Wade Davis – MLBTR Say: Astros, 4 years, $60MM. Davis could have timed his test of the FA market perfectly; a year after 3 closers made huge money, he’s now the leading man on the market. The injury to Mark Melancon may stop teams dishing out a lengthy contract, but the man who won a WS Ring in Kansas, and was the only Cubs representative at the 2017 All-Star game, will surely be in demand and with sides looking for closers, he could strike lucky. EAL says: Cubs, 4 years, $70MM. Carlos Santana – MLBTR Say: Indians, 3 years, $45MM. I don’t see the Indians letting Santana sit on the market for too long. No surprise he rejected the QO, but Santana has been a big part of the Indians recent success and is a good personality for their clubhouse. He’ll want multi years, which is why he left the $17.4 million QO on the table, and having been in Cleveland for 7 ½ years already, the club should be looking to tie the 31 year old down to keep him there for good. EAL says: Indians, 4 years, $56MM. Zack Cozart – MLBTR Say: Padres, 3 years, $42MM. Solid defence and a decent bat – what’s not to like? Cozart could be hurt by not many teams needing a 2nd baseman, but someone will (should) move pieces to make him a fit. The Angels have been stated as having an interest, and after years of mediocrity at the Reds, Cozart may like the idea of chasing the play-offs and a ring in Anaheim. The Halos have made some early moves in the off-season, signing Justin Upton, so clearly they’re having a go in 2018. Plus, who wouldn’t want to play alongside Mike Trout and co?! EAL says: Angels, 3 years, $36MM. Jay Bruce – MLBTR Say: Blue Jays, 3 years, $39MM. Bruce came up big for the Indians after joining after the trade-deadline, but there was a reason the Mets couldn’t shift him prior to that (they didn’t get much back for him either). He was only 2.7WAR in 2017 and Fangraphs project him to be around 1WAR in 2018, so I don’t see anyone giving him big money let alone the length of contract. The Jays have been linked with him throughout the past few years and do need some lefty power and OF help, but the former #1 prospect in baseball doesn’t fit their picture of getting younger and faster – with Morales and Pearce there already I don’t see Bruce winding up there. He’s also not going to get near the Dexter Fowler deal from last year – people learn from their mistakes. EAL says: Braves, 2 years, $18MM. Todd Frazier – MLBTR Say: Mets, 3 years, $33MM. ‘The Toddfather’ has come out of his Bronx stint with nothing but credit; big hits, good defence and a great presence in the clubhouse. He left the White Sox for prospects, but he’s done his case no harm of doing well in the FA market. He liked New York and I think both sides will make a run at him, Mets may be quicker to throw years at him. EAL says: Mets, 3 years, $30MM. CC Sabathia – MLBTR Say: Yankees, 2 years, $24MM. Yankees will let him go to clear his wages. His bounce-back-ability following a team loss last year will serve him well and could earn him big bucks to lead a rotation. Whatever happens won’t be a long-term deal at his age but he could certainly haul in some cash. I think a heavy 1-year deal with a mutual option for 2018 is most likely. EAL says: Orioles, 1 year, $14MM. Michael Pineda – MLBTR Say: Rays, 2 years, $6MM. The Yankees will cut Pineda and Sabathia off the pay-roll to help accommodate Darvish (I think), meaning that coming back from Tommy John Surgery, Pineda could be a bargain for someone. At 28 he has time to come back from it, and in the past he had some power to beat bats (he retired the first 20 batters he faced, striking out 11 during the Yankees home opener last year). The Rays have a history of turning out good pitchers and I can see Pineda being a low-risk, high-return addition to the rotation whether he is alongside Archer or not (see above). EAL says: Rays, 2 years, $8MM. Ignored by MLBTR; Jose Bautista (EAL says: Rays, 1 year, $9.75MM), Curtis Granderson (EAL says: Blue Jays, 2 years, $20MM) and Mitch Moreland (EAL says: Brewers, 1 year, $13MM). The Ohtani ‘Will he? Won’t he?’ saga has been ongoing for a number of years, but with it looking like the Nippon Ham Fighters are going to post their prized possession a few years early causing to great excitement. Ohtani is meant to be THAT good that every team will be in for him – the two-way player will have the pick of destinations due to various MLB Central Bargaining Agreement restrictions and luxury tax thresholds; Ohtani will only be able to sign a Minor League deal (an extension can be signed after 30 days of Major League service) as he is under 25, so the money to be made is from the signing bonus – only 6 teams can offer him a seven-figure bonus (the Rangers can offer him the most at $3.535 million). Before making a call on where Ohtani is going to end up, it’s worth looking at just how good Ohtani really is. Two-way players are rare for a reason; it’s not easy to be Major League standard in one discipline, let alone two. Ohtani is likely to field offers as a pitcher first and foremost, but how good is he on the mound? The 22-year-old has a career ERA of 2.52 and a 42-15 record, the reigning Pacific League MVP has given up only 24 HRs over 543 innings pitched over those 5 years. Over the same time Ohtani has a batting average of .286, 48 HRs and 166 RBIs. If Ohtani could transfer those numbers to the Big Leagues, where would that pit him against the field? A batting average of .286 in 2017 would have been good enough to rank 41st of all batters, sat comfortably between Yankees SS Didi Gregorius (.287) and, now free-agent, Melky Cabrera (.285). Not bad company for sure, and it will be interesting to see the money Cabrera can get in FA this year having left the Royals (Gregorius earned $5.1MM in 2017 and is eligible for arbitration for 2018). If pitching is his main string, then how much could his near 100mph-arm be worth? Assuming he is good enough to be part of a rotation, Ohtani’s career ERA of 2.52 would have put him tied-4th amongst all SP in 2017 – tied with Nationals ace Stephen Strasburg. Good company, hey? For what it’s worth, Strasburg signed a 7-year, $175 million extension in 2016 – (a lot) more than Ohtani will be allowed to sign for. So where will Ohtani wind up? I think it’s widely expected that he will wind up in the American League as part of a rotation with some DH time or regularly used pinch-hitter – think Madison Bumgarner plus some additional ABs. Due to rules in place from the CBA, clubs cannot ‘promise’ anything – no promise of a spot on the Opening Day roster, no promise of anything worth additional value, no promise of at bats – he’s basically signing a Minor League contract and getting whatever signing bonus he can from the club he most wants to go to. Clubs need to get clever to sign him, and for me, the Yankees are the club capable of doing so. The most popular franchise in all of baseball (sport even?! ), the Pinstripes can also offer the second largest signing bonus, $3.25 million, and if the East Atlantic Look is correct in thinking the Yankees go big on Darvish, it’s well-reported that Ohtani idolises Yu and may be interested in following. Maybe Darvish doesn’t miss out on that much cash after the WS as clubs pay big to him in the hope that Ohtani wants to follow – Yankees have the capital to do just that. Imagine the appeal to Asia if the Yankees started 2018 with a rotation consisting of Darvish, Ohtani and Tanaka (Severino and Gray). With a deadline set to agree a posting agreement, we’re sure to know what happens to Ohtani sooner rather than later. Previous Post A UK based social commentator on all things American Sport? #2 Is growth good? Next Post A UK based social commentator on all things American Sport? #4 Football or Soccer? Call it what you like but don’t confuse the two. Why would the Brewers sign Mitch Moreland? Makes absolutely no sense.